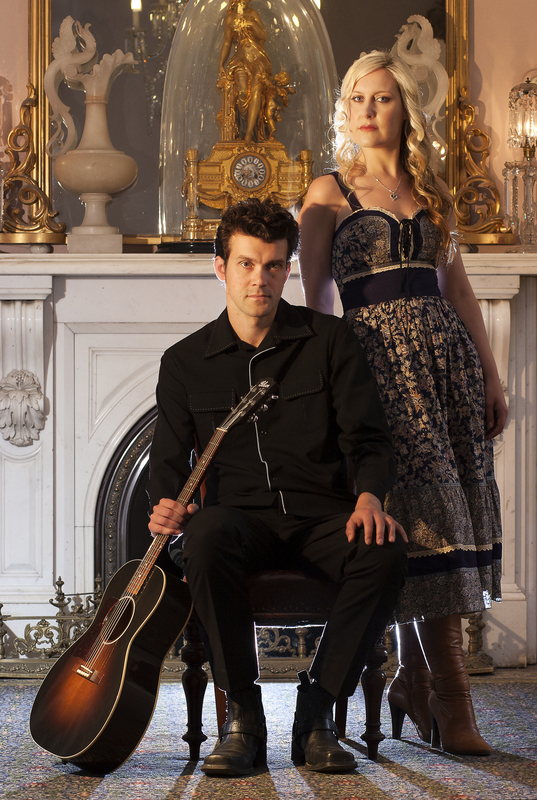 Andy Wrigglesworth and Laura Coates are a couple of old souls, steeped in bluegrass tradition and draped in gothic Americana imagery. That kind of description might make them sound like some carefully contrived concept-act, but there’s something truly different about The Weeping Willows: they really mean it. Just like their old‐timey forefathers, Laura and Andy see themselves as simply contributors. They are cogs in the wheel; part of a long music tradition that emerged years before their own existence and will survive them by hook or by crook. The old songs they sing are plucked from the canon, the new ones they write are simply added to the book. The origin of each track is almost irrelevant, as all are performed with an authenticity and vibrancy befitting this most dignified and welcoming genre. A Weeping Willows performance, whether live on location or caught on tape, will always delight. Some might call Andrew a virtuoso, but he doesn’t see himself that way. To him, the acoustic guitar (or sometimes the dobro) is just that object that hangs permanently from his shoulders (perhaps it’s really held up by his fingertips? Or maybe it actually is a part of his body?) Regardless, he plays it with purpose and authority and it wraps itself around his and Laura’s vocals with warmth and affection, never saying too much or too little. Laura, for her part, stays as busy as a post-war housewife; complementing her partner’s skill with voice that ranges from sugar-sweet to evangelically piercing, whilst regularly adding a little accordion, lap steel or even flute on the side. She’s in possession of a calm self-assurance, her stoic stage presence the perfect foil for Andy’s thinly veiled neurosis as they regale their audience with stories of sunshine and romance, God and The Devil, murder and decay. Real music. To answer your question, yes: Andy and Laura are an item. Theirs is an uncommon and intoxicating mix of love affair and musical union. In fact, by the standards of the world from which they appear to have emerged, they are living in sin. But that’s not so bad. There mightn’t be a ring, but there’s chemistry aplenty – think Cash and Carter, Sinatra (Nancy) and Hazlewood or even Kristofferson and Coolidge. Is her name tattooed on the inside of his upper arm? It wouldn’t come as a surprise. With their sophomore album due in 2016, it’s likely we’ll see a fair bit more of The Weeping Willows. But it seems as though they’d hardly care if we didn’t. Andy and Laura would be doing this anyway – writing, singing, harmonising. And meaning every word of it. Lucky for us, they’ve chosen to share. Now we need to listen.